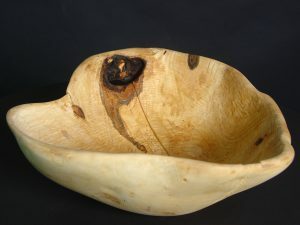 These bowls, like a lot of my earlier work, were made from found wood. 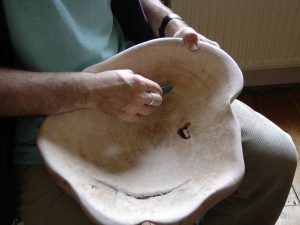 The textured and smooth surfaces are wonderful to touch and the bowls themselves become robust containers for the stories which they acquire; from initially finding the wood to the places which the pieces travel to after being finished. 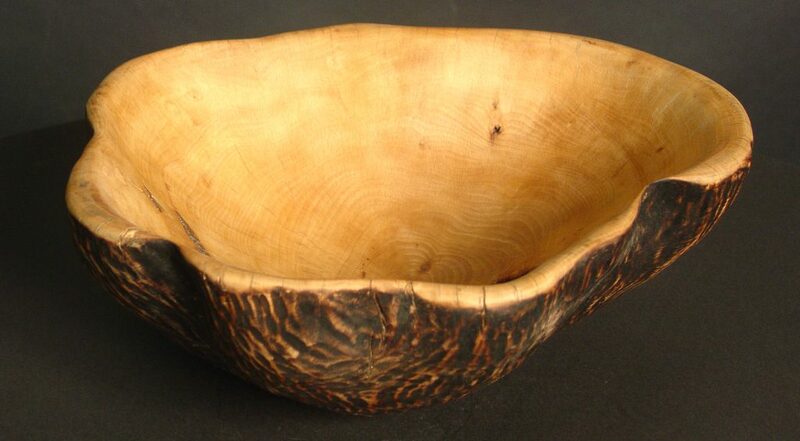 This charred, textured and scraped bowl was made from beech wood, which had come from a tree that grew high up on the wild and rugged plateau of Dartmoor. 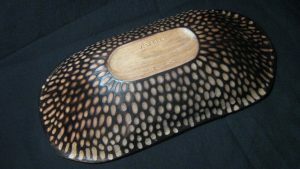 The second carved bowl has charcoal on the rim which has been solidified using resins. 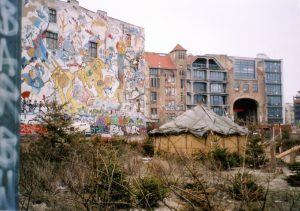 The piece of wood came from a large arts complex and squat in Berlin called ‘Kunsthaus Tacheles‘. 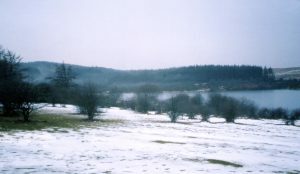 When beginning to make these sculptures in 2004, I was studying the work of the artist Richard Long, who can condense the tale of a walk of a thousand miles into a picture of a spiral which traces the path. 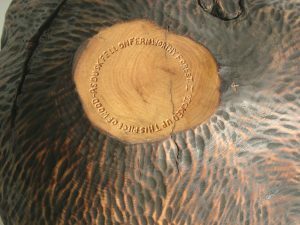 Short pieces of text are carved onto each bowl, telling a little about where the wood came from, so hopefully beginning the process of holding tales which these bowls were made for. 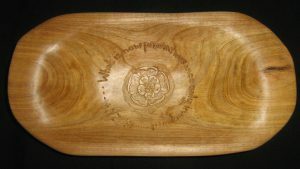 The following cherry wood bowl was made for the fifth wedding anniversary of two friends in 2009. 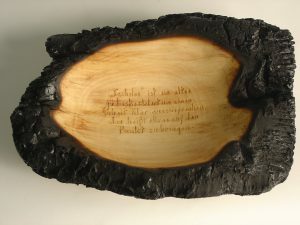 The blackened outside was made, like the bowl above, by scorching the bowl with a blowtorch.